I recently signed up online to become a BirchBlogger using the link http://blog.birchbox.co.uk/feature/introducing-birchbloggers-join-us.html. If your a beauty or lifestyle blogger you should sign up!!! After signing up I received a email about a week later saying about an opportunity to get a full size bottle of Liz Earle Cleanse and Polish Hot Cloth Cleanser. All I had to do was send a tweet tagging Liz Earle and #BirchBloggersUK & say why I wanted to try Liz Earle’s Cleanse & Polish. I was lucky enough to be one of 10 BirchBloggers to recieve a full size bottle. When I got a Direct Message on Twitter from Birchbox saying I had been selected to review Liz Earle’s Cleanse & Polish I was so excited & couldn’t wait to receive my full size sample in the post. I was so pleased that Birchbox sent me a full size bottle of Liz Earle Cleanse & Polish, because my sample I got in the Harper’s Bazaar Birchbox had already run out. 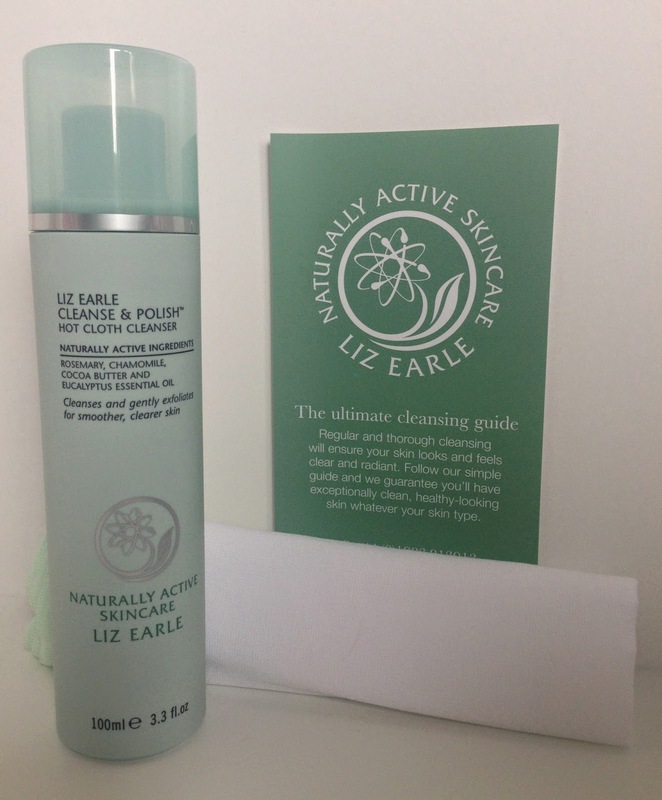 Liz Earle’s Cleanse & Polish has won 100 beauty awards which is incredible!!! I think Liz Earle’s Cleanse & Polish is a wonderful product. You definitely notice the difference in your skin after you first use it. Cleanse & Polish smells great & leaves my skin glowing. Cleanse & Polish is great at removing makeup & even mascara. Cleanse & Polish also removes dirt, grime & takes away dead skin cells leaving your skin clean & looking radiant. Once you have used Cleanse & Polish your skin actually feels clean & refreshed. Cleanse & Polish is great to use on all skin types & ages. Cleanse & polish always leaves your skin glowing & feeling soft. The cleanser is a thick cream & you can easily dispense the cream as the cleanser bottle has a pump. Firstly dispense one or two pumps into your hands. You then massage the cleanser all over your dry face & neck twice a day. Get your muslin cloth & rinse it in hot water & then wring it out. Use your muslin cloth to wipe the cleanser off you face. Finally rinse the muslin cloth & repeat. After I finish I normally like to splash cold water at my face, then I dab a bath towel on my face. Lastly I apply my favourite moisturiser. Cleanse & Polish contains naturally active ingredients. Some of the ingredients in Cleanse & Polish are Cocoa Butter, Beeswax, Hops extract, Eucalyptus Essential Oil, Rosemary Essential Oil & Camomile Essential Oil. The best thing about Liz Earle is that their products are NOT tested on animals. Liz Earle products are also suitable for vegetarians to use. If you want to know more about Liz Earle check out the FAQ’s on Liz Earle’s website http://uk.lizearle.com/faqs-products. I have a Liz Earle Cleanse & Polish Starter kit which includes a travel bag, muslin cloth & a 100ml Cleanse & Polish Hot Cloth Cleanser. You can purchase the starter kit on Birchbox’s online shop https://birchbox.co.uk/liz-earle-cleanse-polish-hot-cloth-cleanser-starter-kit. The starter kit costs £14.75. Check out Liz Earle’s website for more amazing products http://uk.lizearle.com. What do you think about Liz Earle’s products??? Leave me a comment & tell me what you think. Check out my Harper’s Bazaar Birchbox blog post http://www.raexoxomonthly.com/2014/05/birchbox-may-2014-harpers-bazaar-edit.html & tell me what you think of Birchbox.